And even from us Christians today, He reaped the thorns of ingratitude and misunderstanding countless times. We show ourselves to be ungrateful and unreasonable whenever we undermine and trample His commandments. 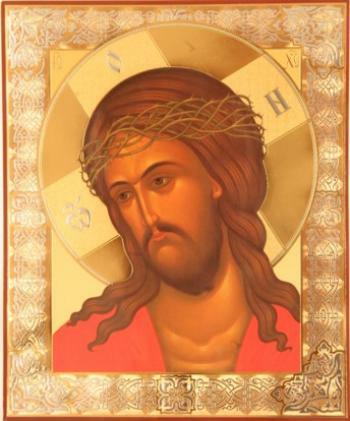 By his sins every sinner plaits a new wreath of thorns and places it on His Sacred Head. When did He ever offend us, that we did this to Him? When did He ever think evil about anyone of us, that we return Him evil? He lowered Himself into our fetid pit where we have become accustomed to live with snakes and scorpions and pulled us higher to the heights, to light and purity in the kingdom. He wants to make us kings and priests, and we drive away His saving hand and return to the pit with snakes and scorpions. O brethren, enough and more than enough of this humiliation of Him and destruction of ourselves. Let us firmly grab the hand of our Savior and follow Him. He desires good for us. He does good for us. For our good, He suffered. He is our One and Only Friend Who does not change. To You be glory and thanks always. Amen.